February 20, 2019, 11:16 a.m. 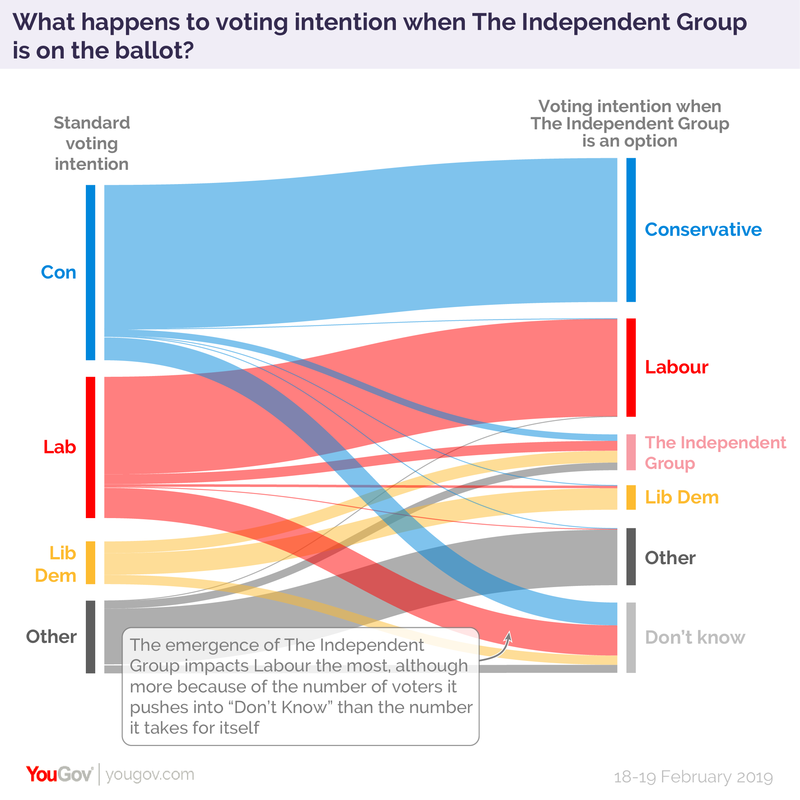 The biggest impact The Independent Group has on the voting intention landscape is to push many Labour voters to "don&apos;t know"
The long speculated upon split from the main parties has finally happened. As yet the defectors haven’t formed an official party and are simply sitting as "The Independent Group", though there’s speculation that this will change in due course. Our latest polling asked the public how they’d vote if the Independent Group became a political party and put up candidates at the general election. We found 14% support for the new group, with 38% for the Conservatives, 26% for Labour and 7% for the Liberal Democrats. Compared to our current voting intention figures, it’s clear that the Independent Group are taking support from the Conservatives, Labour and Liberal Democrats - though it’s Labour who take the biggest knock. Note that much of the difference is not down to votes transferring to the new party, but because many current Labour voters say they don&apos;t know who they would vote for in that scenario. This is to be expected - while the split has happened, The Independent Group don&apos;t yet have a leader, don&apos;t yet have policies and are not yet even a political party. 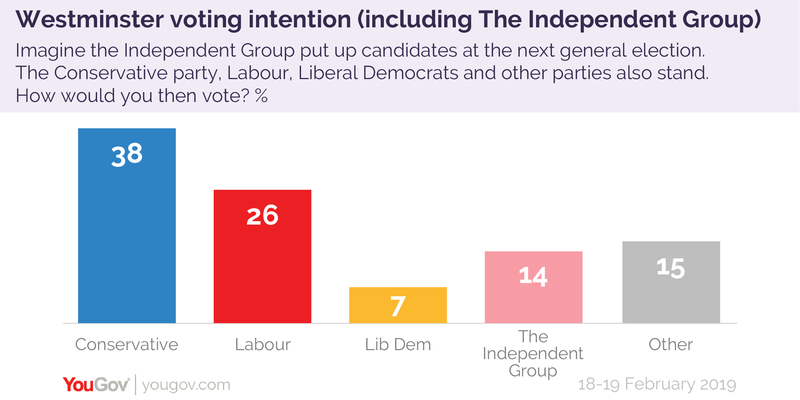 It’s also worth bearing in mind that this poll was conducted on Monday and Tuesday, when the Independent Group was made up only of former Labour MPs. 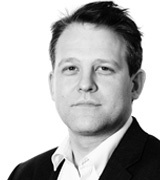 Today’s subsequent defection of several Conservative MPs may well change how the nascent movement is seen by the public, and make it more attractive to disaffected Conservative voters. It’s far too early to predict the fortunes of the Independent Group - their success or failure will depend not only on public support, but also their relationship with the existing Liberal Democrats: will they end up merging, coming to an agreement or competing against each other? Time will tell, too, how their support is distributed around the UK and how this relates to the unforgiving nature of Britain&apos;s electoral system. All these initial polls can give us is a baseline of support for the Independent Group.